Just one person can save the children from a terrifying future. But to do so, she must master her past. Beth Wright, a newspaper reporter, is hot on the trail of a story that could expose something very ugly at the St. Clair Children's Home. Someone else is hot on Beth Wright's trail---someone who wants to make sure her story never sees the press. Between them stands Nick Hutchins, a social worker who finds his own gut hunches about the children's home increasingly confirmed, first by Beth's investigation . . . then by a high-speed attempt on her life . . . and finally, by an intruder's startling confession. As the drama unfolds, a horrifying picture emerges of helpless children under the sway of a modern-day Fagin. Just one person holds the key that can save them: Beth herself. But using that key could cost Beth her reputation . . . if it doesn't first cost her life. Presumption of Guilt is a gripping portrayal of the depths of human evil, the soul-twisting influence of lies . . . and of the liberating power of truth and the far-reaching freedom of God's mercy and grace. 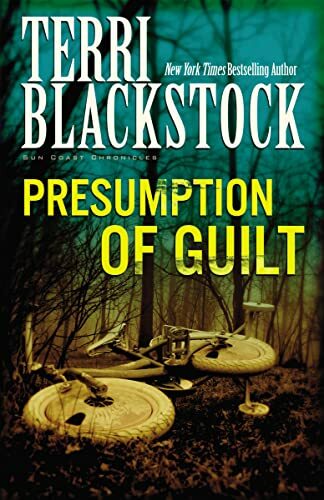 Presumption of Guilt is book four in the Sun Coast Chronicles by award-winning author Terri Blackstock. From absorbing legal drama to lightning-paced action, the Sun Coast Chronicles offers suspense at its finest, tempered with remarkable realism and penetrating insights into the human heart.